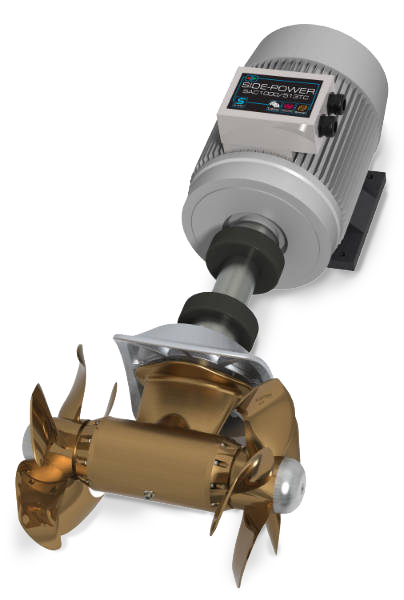 With an extraordinary range of thrusters comprising over 120 different models ranging from 20kg to 285kg of thrust, Side-Power thrusters by Sleipner Motor offer a thruster for almost any vessel type. Leading boat builders all over the world choose Side-Power for performance, reliability, ease of installation and unrivalled safety features. The safety of the boat and those on board is Side-Power's utmost priority. All Side-Power thrusters include standard features that protect against operator errors and technical problems, minimizing potential consequences. Side-Power thrusters are purpose built for professional use with no compromise on quality.